Aerosmith was formed in 1970, when vocalist Steven Tyler met guitarist Joe Perry while working at an ice cream parlor. Bassist Tom Hamilton and guitarist Ray Tabano, joined the group, but Ray was replaced by Brad Whitford and they added drummer Joey Kramer. In 1972 they landed a record contract with Columbia Records. 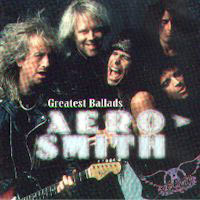 As a result, Aerosmith’s self-titled debut album was released in the fall of 1973.